← Progress of the Seasons Journal: 9 – 11 May, 1832-1862. Progress of the Seasons Journal: 12 May, 1832-1862. Here is the historical phenology report from the ‘Progress of the Seasons Project’ for May 12. The pinnate, somewhat tropical appearing leaves of Tree of Heaven. Although not actually present in today’s records, flowering Tree of Heaven did show up in yesterday’s historical report and appears again on upcoming dates. “Tree of Heaven”, Ailanthus altissima, is one of those plants we caution people about. It’s dandy at spreading by seeds or root sprouts and, at least until recently, was relatively unaffected by pests and disease. This makes it a hearty city tree, understandably welcome by those seeking green in the ‘asphalt jungle’. The tree of A Tree Grows in Brooklyn was an Ailanthus. It was a central character precisely because of its resilience. However, this species can also be a pernicious colonizer, rapidly taking over edge habitats, spreading quickly and growing with startling speed. In some ways, it is a classic ‘invasive species’. The fact that ‘invasive species’ seem to have been getting especial attention of late can, however, trick one into thinking they are a new phenomenon. I should have known better. Even the novel is older (1942) than I might have imagined. 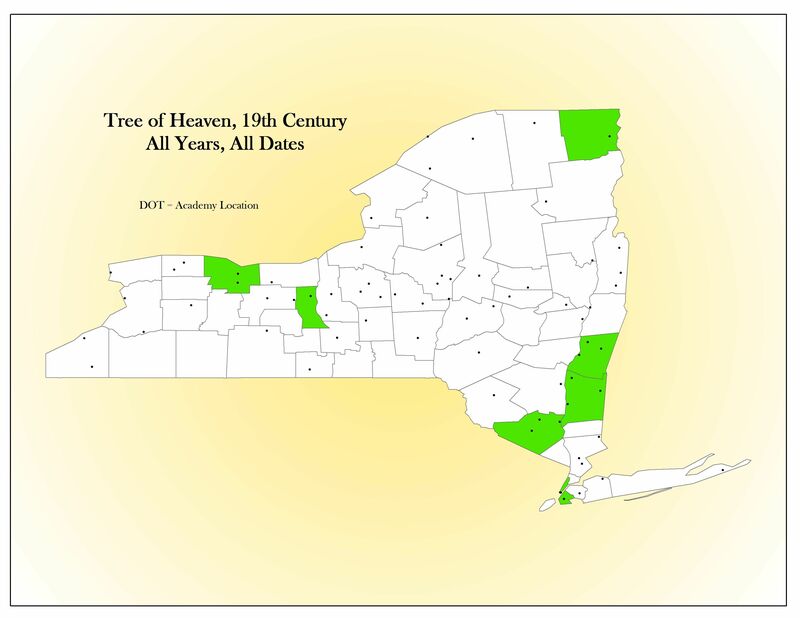 Tree of Heaven does show up in our historical phenology data as early as 1845 (see map below), so my first search for more information was in the 1840s floras of NY (Torrey, 1843) and MA (Emerson, 1846). No luck. 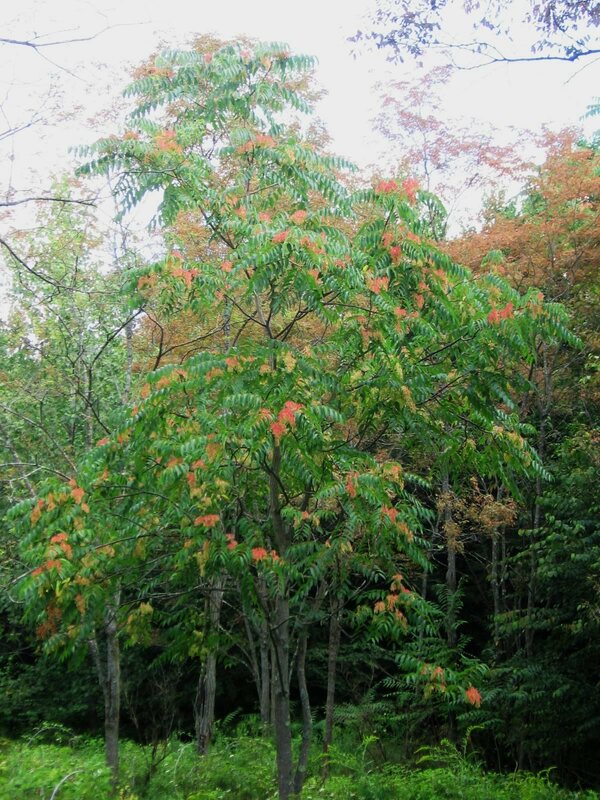 Ailanthus was well suited to meeting the growing demand for landscape trees that accompanied the unprecedented economic and social transformations of the 1840s, years that can be described as the clipper ship era. Between 1840 and the 1860s, the United States’ economy was invigorated by the China trade, resulting in the rapid growth of urban centers and suburban estates. 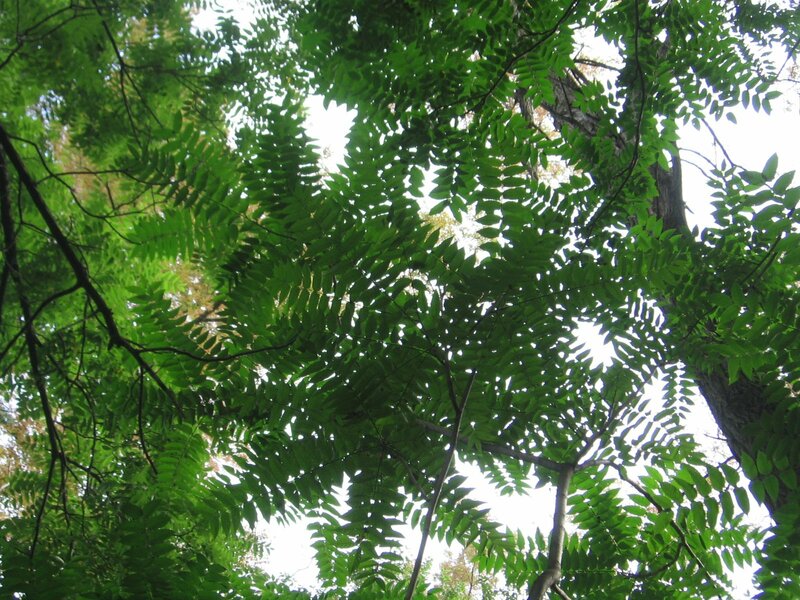 By the1850s, Ailanthus was being extensively used in urban plantings and was the only shade tree to be seen on many streets of New York. It was also grown in suburban gardens as boundary plantings. So, apparently, our historical phenology data comes from the cusp of its greater spread. After the 1845 report from NYC, there is an 1847 report from Rochester, by 1852, it is being reported from Kings, Orange, Clinton and Seneca Counties. 1855 finds it reported from Columbia County (Spencertown) and, in 1857, it is known from Dutchess County. Its distribution map based on the phenology data is surely incomplete and reflects observer interest as much as tree distribution and yet it is enough to back up Shaw’s words – in the 1850s it seemed to be widely planted in the State. In 1844, in Treatise on the Theory and Practice of Landscape Gardening, the highly influential landscape designer, Andrew Jackson Downing, described the tree in generally favorable terms, “The Ailantus [sic] is well adapted to produce a good effect on the lawn, either singly or grouped; its fine long foliage catches the light well, and contrasts strikingly with that of the round-leaved trees.” However, he then qualifies this by stating, “It has a troublesome habit of producing suckers, however, which must exclude it from every place but a heavy sward, where the surface of the ground is never stirred by cultivation” The implication being that a thick sod could keep the tree’s sprouting ways in check; but disturb that cover, and in it came. This weedy nature is born out by the early 20th century works quoted earlier. If nothing else, perhaps such an account can add depth to our perception of an ‘invasive species’; marking out its humble beginnings and, pardon the bad pun, long roots. Its been a member of our ecological surroundings for longer than we may think, although it has probably increased substantially, first propelled by landscaping fashion and later facilitated by an abundance of open ‘waste areas’. Some of our past invasives or weeds have come and largely gone (Butter and Eggs, for example). If the current reports of a spreading fungal disease are any indication, the expansion of this long-term species too may slowly be checked. A map of the counties that reported flowering Tree of Heaven in our historical records. 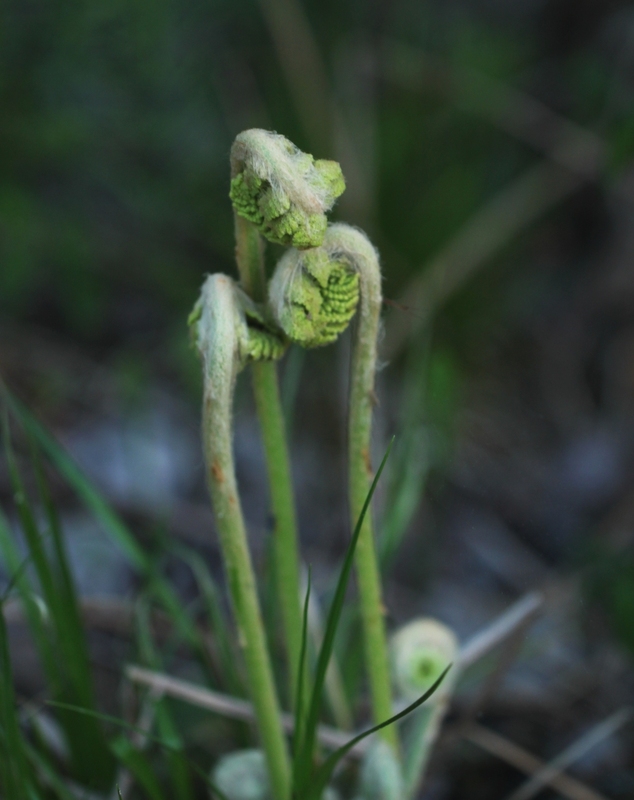 You can’t tell me that ferns don’t nuzzle. Woodies: Shadbush and Sugar Maple bloomed in Chatham in 1852; a year earlier on the same day, Lilac had bloomed. In 1849, Amenia reports blooming Shadbush. Spencertown noted Sugar Maple in leaf and blooming White Ash in 1855. 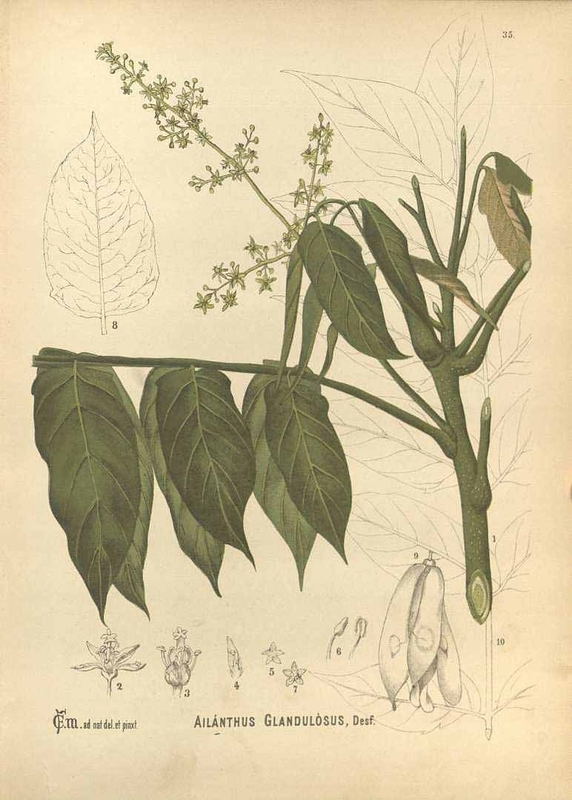 Black Walnut was both in leaf and in bloom in New Lebanon, 1853. Fishkill Landing, in 1857, noted Horse Chestnut in leaf. Birds: Orioles first appeared in Spencertown in 1855. In 1849, Amenia noted Chimney Swallows arriving. Bobolink appeared in Chatham, 1851, and in Spencertown,1855. Agriculture: In 1846, year’s first planting of Corn in Poughkeepsie. Spencertown noted blooming Currants in 1855 and flowering Gooseberries in 1856. In New Lebanon, 1856, Pears bloomed. Kinderhook observed blossoming Quinces in 1845 and blooming Plums in 1847. In 1832, Apples had bloomed in Red Hook. Chatham noted the showing leaves of Apple, Pear and Gooseberry in 1852. In 1851, Chatham reported blooming Pear trees. 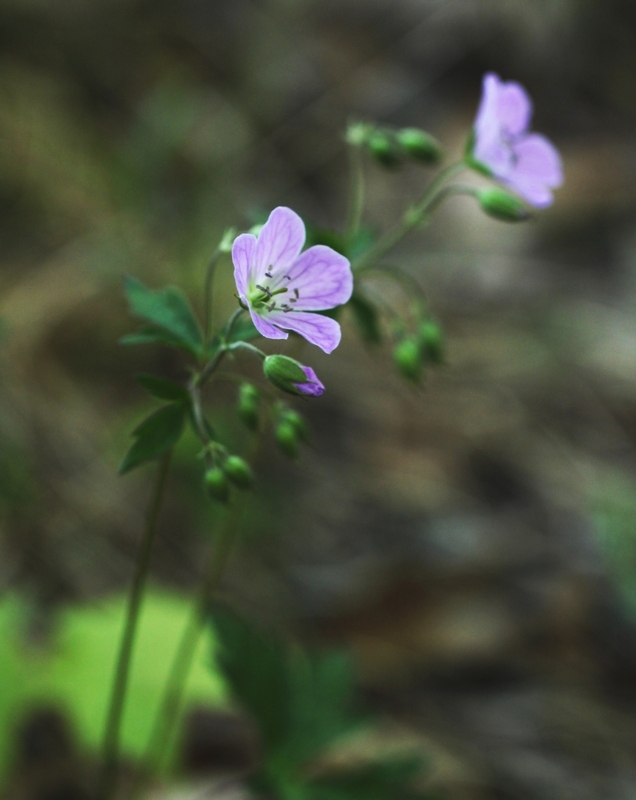 Wild Geranium (aka Spotted Geranium) is now flowering. 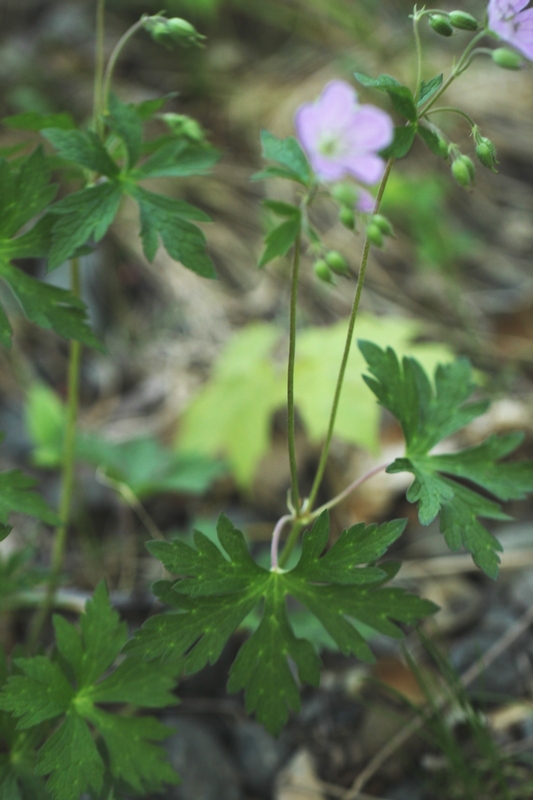 Herbs: Black Hellebore, Rough Bedstraw, Wood Sorrel, Marsh Marigold, Spotted Geranium, Fleabane, Wild Columbine, Sedge, Peony and Violets had bloomed. Two reports of blossoming Mullein, Jack in the Pulpit, Saxifrage, Buttercup and Cinquefoil. Woodies: Six reports of blooming Lilacs. Sugar Maple, Scotch broom, Hobblebush, Magnolia, American Beech and Hawthorn had bloomed. Two reports of blossomed Horse Chestnut and Dogwood. Specimens in leaf included White Oak, Dogwood, Sycamore, Red Mulberry, Yellow Poplar, American Elm and Shagbark Hickory. Birds: Catbirds, Chimney Swallows and Whippoorwills appeared. Agriculture: Blooming Cherry in seven reports, flowered Pear and Strawberry in five; four reports of blooming Apple trees, two of blossoming Peaches and three reports of flowering Quinces; lone reports for blooming Peas and Flowering Almond. Agriculture: Apples flowered in two reports. Blooming Peaches in a single report. Woodies: Noted in leaf were Red Maples and Sugar Maples. Other Critters: First Butterflies seen in Washington County in 1847. Agriculture: Plums flowered in two reports and Cherries were also in flower. Herbs: Flowering Dandelion in one report. Hey, wait a second. That’s not a wild flower. 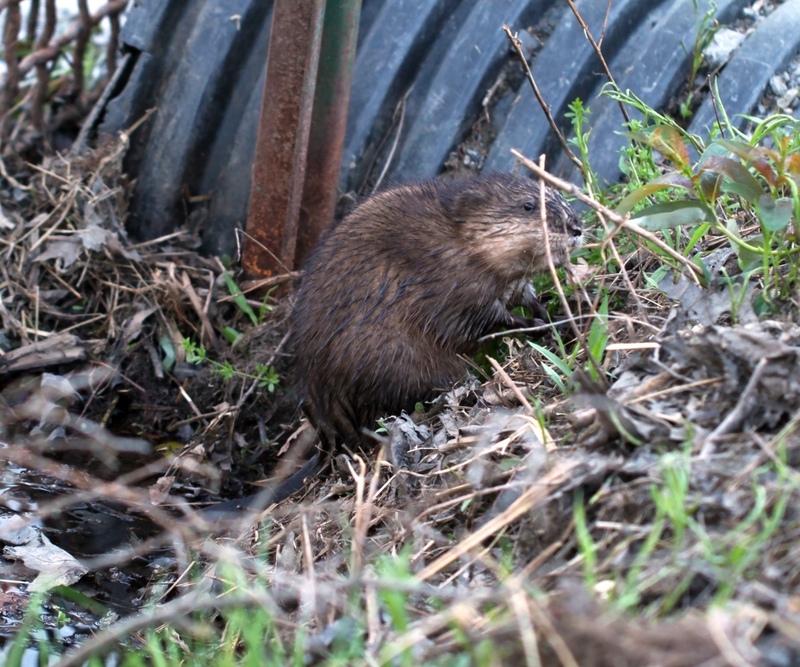 Nope, it’s a muskratal wildflower consumer. Woodies: Blooming Shadbush in two reports. Lilac and Hawthorn had put forth leaves. Birds: Plattsburgh notes the arrival of Barn Swallows in 1842. Agriculture: In leaf were Apples, Flowering Almond and Blackberries; reported blooming were Strawberries, Gooseberries, Apples and Currants; paired reports of blooming Cherry trees. Herbs: Paired reports of flowering Dandelion. 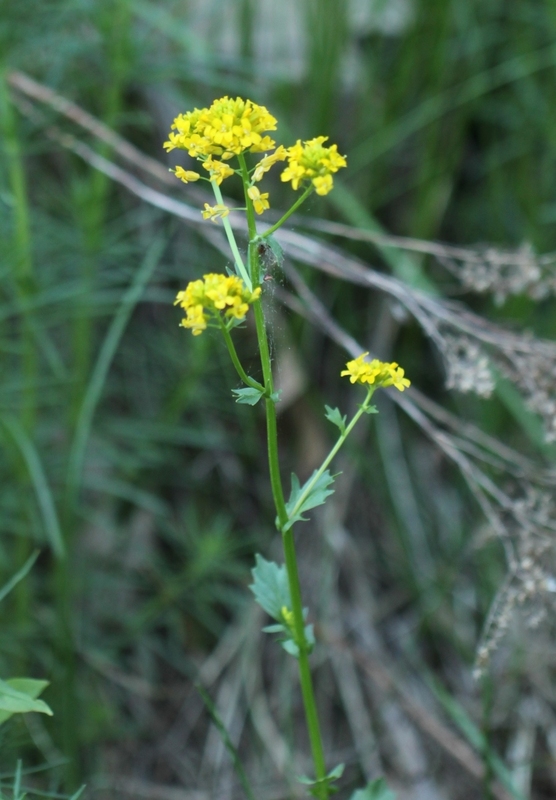 Winter Cress is now in flower along roadsides. Agriculture: Blossomed Apple and Currant noted in two reports; Plums also bloomed. Herbs: Bloomed Trailing Arbutus, Buttercup and Azure Bluet reported. Woodies: In leaf were Red Maple and Sugar Maple. Agriculture: Blossomed Plums in four reports, flowered Cherry noted in two; Currants and Apples had also bloomed. Herbs: Tulips, Trout Lily and Solomon’s Seal bloomed. Two reports of flowered Dandelion. Woodies: Flowered Lilac, Sugar Maple and Red Maple reported. Two reports of bloomed Shadbush. In leaf were White Oaks, Locusts, Lilac, Elderberry, White Ash, Hawthorn and Chestnut. Birds: Reports of arrived Barn Swallows and Chimney Swallows. Agriculture: Five reports of flowered Cherry, three noted Currants in bloom; Apple and Strawberry also had blossomed. Herbs: Violets, Veronica, Tulip, Dandelion, Hepatica, Windflower, Saxifrage and Kentucky Bluegrass had bloomed. Winterberry (a holly) is about to flower in some of our wetlands. Woodies: Elderberry bloomed in a single report and had leafed in two. In blossom was Horse Chestnut and Lilac. Flowering Dogwood was reported in leaf. Birds: Two reports noted first arriving Bobolinks. Agriculture: In bloom were Cherries, Plums, Blackberries and Apples. Herbs: A lone report of Dandelion flowered. Birds: Hummingbirds first seen in Gaines, 1842. Agriculture: Three reports of bloomed Apple and a single report of flowered Cherry, Peaches and Plum; Pear reported as in leaf. Herbs: Trillium, Spotted Geranium and Goji Berry (a Box Thorn) had bloomed. 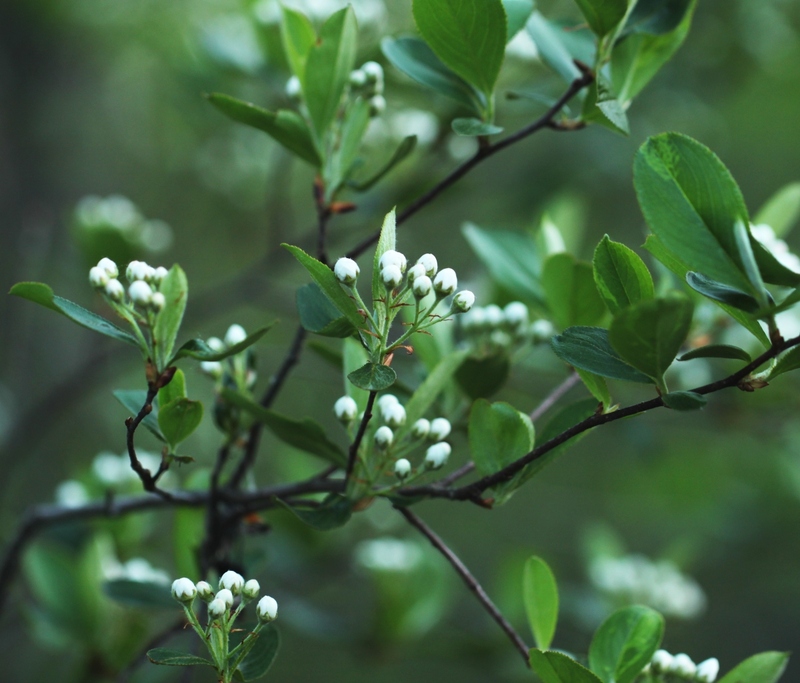 Woodies: Lilac had bloomed in two reports; Dogwood had also blossomed. Agriculture: Apples, Flowering Almond and Quinces reported as bloomed.